If you love Lush's best-selling Snow Fairy shower gel, then you will absolutely adore the Magic Wand bubble bar. As soon as I spotted them in the Christmas section on the Lush website, I knew I had to get my hands on one! So off I popped into the Nottingham Lush store, where a lovely lady greeted me with a smile and took me straight over to the pile of Magic Wands. I ended up picking up two wands as I knew my mum would be equally as excited by their obvious cuteness and heavenly candy scent. I had very high expectations of the Magic Wand bubble bar and I have to say it didn't disappoint at all. As you can see in the image below, the wand magically produces beautiful pink water and mountains of candy-scented, fluffy bubbles. I only had to swirl the product around the bath a few times, whilst the water was running and I ended up with way more bubbles than I usually get with other bubble bath products! 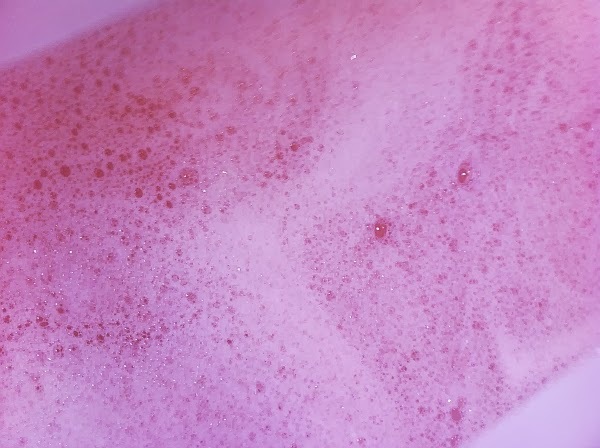 Although the water is really pink, it doesn't stain your bath, so there's no extra cleaning required. I can't even describe how amazing the Snow Fairy scent is. You just have to try it yourself. I am guessing that it won't be to everyone's taste as it is extremely sweet, but if you love the smell of bubblegum, candy floss and sweeties, you'll adore the scent of the Magic Wand bubble bar. Along with the cute design and amazing scent, I also love the fact that it is a reusable bubble bar. I have already used my bar five times and it it still all in one piece! Once I have got the desired amount of bubbles, I simply place the bubble bar on a pretty little plate on the side of the bath, ready for next time. 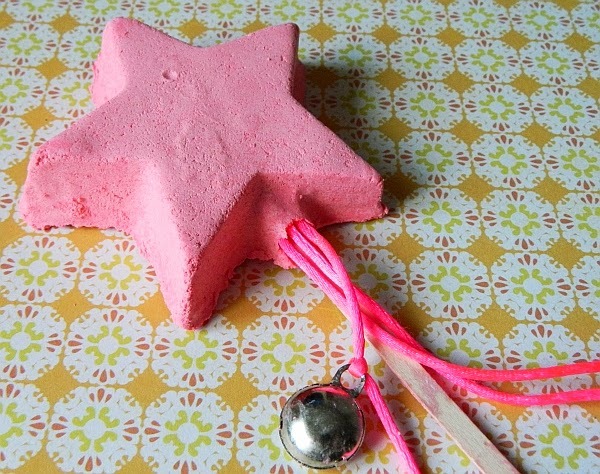 The Magic Wand bubble bar is priced at £4.95 and can be purchased in store or online. I think £4.95 is very reasonably priced, especially if you consider how many baths you will get out of it. Cost per use people, cost per use! Click here to enter my giveaway to be in the chance of winning one of five St.Grape Aqua Bliss bath scrubs. Haha I love the 'cost per use!' exclamation there :P I have to tell myself that waaay too often!